A tour of our plant will tell you everything you need to know about Wellsford Cabinetry. 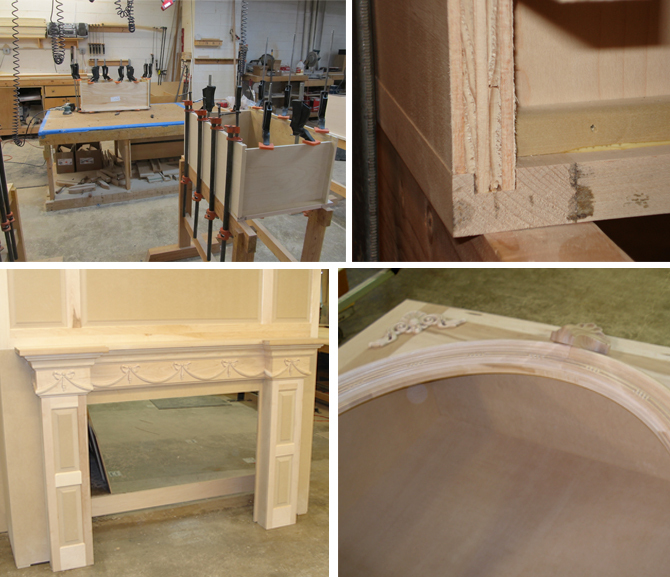 You can see first-hand the steps we take to make our cabinet work the finest in the area. More importantly, you will get the opportunity to meet the great folks that make our shop what it is. However, we understand that making the trip to the shop may take some planning, so we’ve put a virtual tour together right here. That said, we still think it’s best to come in person and smell the sawdust! There’s nothing like seeing the beauty and texture of the wood up close and personal. Plus, our team here is always happy to see visitors. There is always an open invitation to tour our shop. Just contact us to let us know you’re coming. We are just west of Pottstown PA proper and minutes from 422. One of the most important tools in a cabinet maker’s shop is the saws. This is no mystery. Cuts need to be precise from the start to initiate a professionally crafted cabinet. Since we are always striving to be a state-of-the-art facility, we installed digital cutting tools that can do just about anything we program them to do. When cuts are accurate at a large scale, there is less waste, better quality and a higher percentage of creating a finely crafted piece at the best price possible. Once the pieces are cut, they are sorted and assembled. While we rely on the best tools available for many tasks, this remains a step that must be done by hand. Our craftsman have years of experience getting numerous pieces square and secure. It’s this step that builds quality control and attention to detail. We have various framing and assembly techniques. We’re happy to share them with you on your next visit. As the wood is being cut to size, over in the finishing area workers are busy matching, selecting and applying stains and finishes. This is easily one of the services that sets Wellsford apart. We develop just the right surface and color for our woods. Our methods for doing this have helped set a standard with our customers that is one of the best in the business. Once we have built your cabinetry precisely to specs and applied your selected finish, we are ready for the assembly. This final step is when we install doors, drawers and any other moving parts. The finished pieces are then set aside and readied for shipping. They will soon be in the capable hands of the installers where they will become a beautiful and treasured part of your home.